The Royal Concertgebouw Orchestra (RCO) will be visiting Malta for the very first time in history for a concert at the Teatru Manoel on the 1st of July. The concert is part of its ongoing tour of all 28 member states of the European Union, ‘RCO Meets Europe’ and will see the participation of members of the Malta Youth Orchestra during the opening work ‘Overture to Don Giovanni’. Milanese chief conductor Maestro Daniele Gatti, will then conduct the orchestra in Mendelssohn’s Violin Concerto. Beethoven’s Seventh Symphony in A Major, will also be performed. Maestro Gatti has conducted numerous productions at leading opera houses all over the world including Teatro alla Scala in Milan, the Viennese Staatsoper, the Royal Opera House in Covent Garden and the Zurich Opera House. He was also entrusted with the role of conductor of a number of prestigious orchestras around the world, including the Orchestra dell’Accademia Nazionale di Santa Cecilia in Rome, the Vienna Philharmonic, the Berlin Philharmoniker, the Mahler Chamber Orchestra and the Orchestra Filarmonica della Scala. The soloist in the ‘Violin Concerto’ is violinist Vesko Eschkenazy, who has been concertmaster of the RCO since 2000, having occupied the same position earlier with the Netherlands Chamber Orchestra and the Netherlands Philharmonic Orchestra. 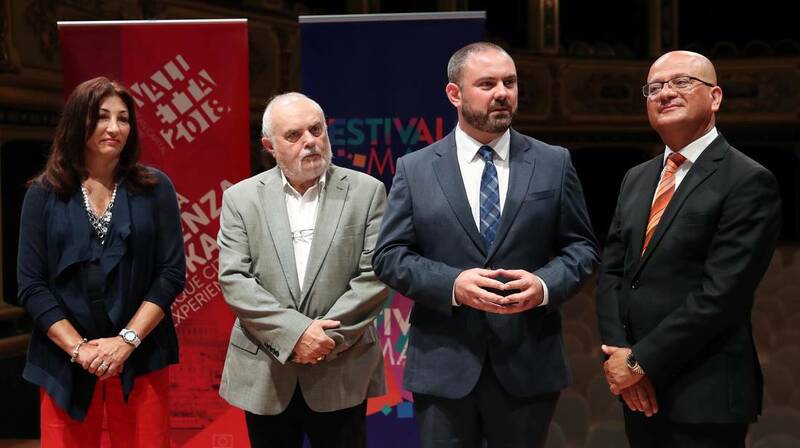 The Parliamentary Secretary for Consumer Protection and Valletta 2018, Deo Debattista said, “This is a historic concert as part of the European Capital of Culture Programme. It is with great pleasure that this great concert is part of the European tour thanks to a collaboration between the Valletta 2018 Foundation, Festivals Malta and Teatru Manoel”. The RCO has been touring European member states since since 2016, performing the opening work of each concert together with a local youth orchestra in each country, in a project called ‘Side by Side’. By the end of 2018, the RCO will have visited all 28 countries, including Malta, where the orchestra will perform Side by Side with the Malta Youth Orchestra. The prestigious RCO, which is globally renowned for its stylistic flexibility, unique sound and exceptional musicians, gives 40 concerts at leading concert halls all over the world each year. The Orchestra has made over 1,000 LP, CD and DVD recordings, many of which have won international distinctions, and regularly contributes to the creation of new repertoire by working on new compositions.